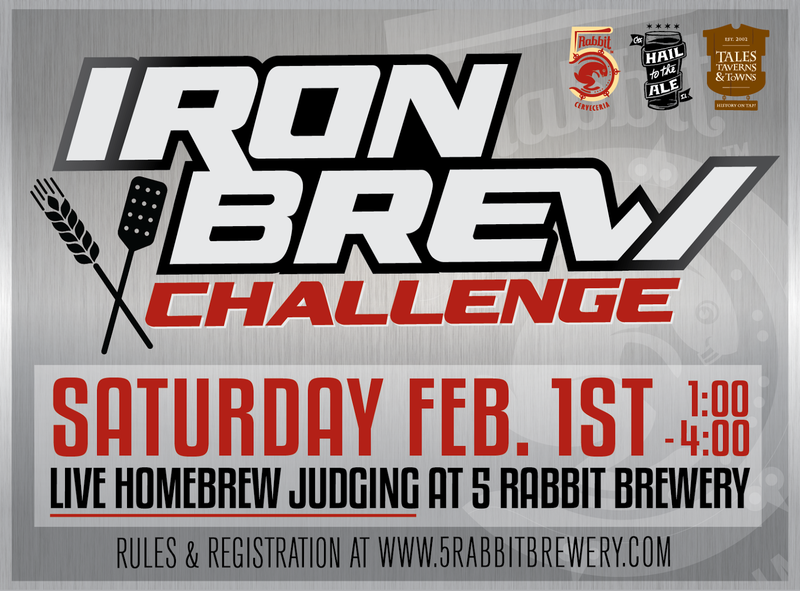 Hail To The Ale: Iron Brew LIVE JUDGING! We will be meeting at the brewery this Saturday afternoon, February 1st 1pm-4pm. Judging will be held "live" starting at 1:30pm. The competition entry fee is $10 and drop off locations are Brew Camp and Brew and Grow (before 5pm on Friday) or you can bring them to the brewery on Saturday. If you are submitting beer, bring your friends with you to celebrate your imminent win! If you are not submitting beer, come on over anyway. There will be no cover charge and we will have complementary snacks. Also, first pint of beer is on us! Randy Mosher and John J Hall will be at the brewery to judge the homebrew and give brewery tours. Come on out and spend your Saturday with us!